1．It takes a strong man to save himself, and a great man to save another. 3．I find I'm so excited. I can barely sit still or hold a thought in my head. I think it the excitement only a free man can feel, a free man at the start of a long journey whose conclusion is uncertain. I hope I can make it across the border. I hope to see my friend, and shake his hand. I hope the Pacific is as blue as it has been in my dreams. I hope. 6．These walls are kind of funny like that. First you hate them, then you get used to them. Enough time passed， get so you depend on them. That's institution alized. 7．I guess it comes down to a simple choice: get busy living or get busy dying. 8．I have to remind myself that some birds aren’t meant to be caged. Their feathers are just too bright. And when they fly away, the part of you that knows it was a sin to lock hem up DOES rejoice. Still, the place you live in is that much more drab and empty that they’re gone. I guess I just miss my friend. 9．There’s not a day goes by I don’t feel regret. Not because I’m in here, or because you think I should. I look back on the way I was then. Then a young, stupid kid who committed that terrible crime. I want to talk to him. I want to try and talk some sense to him, tell him the way things are. But I can’t. That kid’s long gone and this old man is all that’s left. I got to live with that. Rehabilitated? It’s just a bull**** word. So you go on and stamp your form, sonny, and stop wasting my time. Because to tell you the truth, I don’t give a ****. 11． I have no idea to this day what those two Italian ladies were singing about. Truth is, I don’t want to know. Some things are better left unsaid. I’d like to think they were singing about something so beautiful it can’t expressed in words and it makes you heartache because of it I tell you, those voices soared higher and farther than anybody in a great place dares to dream. 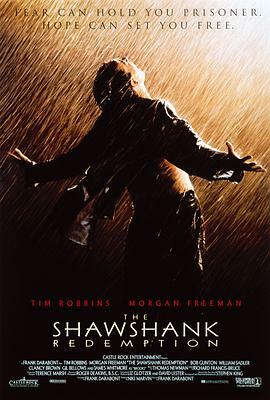 It was as if some beautiful bird had flapped into our drab little cage an d made these walls dissolve away, and for the briefest of moments, every last man is Shawshank felt free.